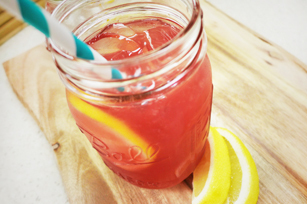 Add a fruity fizz to your lemonade with a splash of sparkling water and tart pomegranate juice. Add waters and juice to drink mix in 1-L plastic or glass pitcher; stir until mix is dissolved. Substitute club soda for the sparkling water.